On Monday 5 February 2018, members of HUB Architects attended an evening debate about the Mayor’s new London Plan, which is being prepared to set out the key policies to guide London’s spatial development for the next 20-25 years, addressing major challenges such as the provision of housing and sustainable transport for the growing city. The London Plan is a strategic plan that shapes how London will evolve and develop. All planning decisions should follow London Plan policies, and it sets a policy framework for local plans across London. The draft version of the plan was issued for public consultation in December 2017. During the evening the main issues being discussed from the draft London Plan included how we should shape the London of the future to create a high-quality environment where people want to live, how we should plan for major growth, accommodating an increasing population, delivering more and better-quality housing, enhancing green and public places, supporting businesses and providing efficient and sustainable transport to move around the capital, whilst protecting London’s rich heritage and existing communities. Jules Pipe, Deputy Mayor for Planning, Regeneration and Skills and James Murray, Deputy Mayor for Housing and Residential Development and other GLA representatives of each party were joined by panels of built environment professionals including Ben Derbyshire President of the RIBA and other leading commentators, to discuss what the new London Plan means for the future of London. Up to 1,000 Londoners, including professionals, academics and community representatives attended the evening to engage through Q&A sessions and regular online polls throughout the evening to contribute to the debate. The Mayor’s policy is 520 pages long and sets out his vision is for growth that is to be driven by increasing housing numbers whilst maintaining a high quality of design and refusing poor design. The development is to be economically sustainable, socially inclusive with a commitment to building 50% of new homes being affordable, and to be zero carbon by 2050. The vision is for a more socially integrated city focusing on health, a high quality of design, vibrant culture, providing jobs to existing communities, excellent data communications and sustainable mixed use developments. There are 47 places highlighted for growth and 9 growth corridors. Good design quality in housing is to be set out with specimen designs including for the height to width ratio of streets, and the ratio of fenestration to walls. Place making and community engagement will be at the forefront, encouraging good neighbourhood design and public realm between buildings and active ground floors. Increased densities will be encouraged in places with good public transport links, including in the suburbs, and car free developments and densification will be possible where development is close to good public transport (PTAL 0-1). It was highlighted that Brown Field sites often require expensive cleaning up processes before development can occur and can be expensive if bridges are required to access the site, but surely houses in places where they are wanted closer to Central London is preferable to building new homes tucked some distance away from London in the Green belt that only adds more journeying. The London Plan proposes developing 65,000 houses per year, which the Mayor proposes will not involve developing the Greenbelt, and will be feasible through optimising the density of development. A £250 million fund is to be set up to bring more land forward for housing. 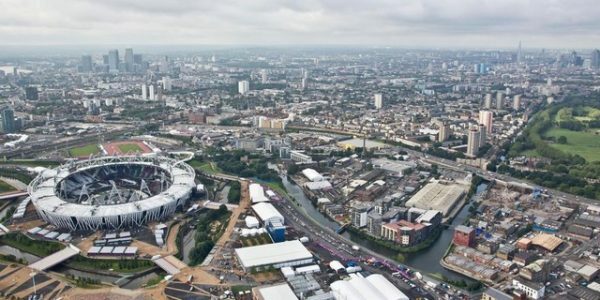 There would be a vision for development of housing in areas, such as the Old Oak Common site in West London, which would include a transport interchange for Cross Rail, the Great Western Railway line and HS2. The RIBA President discussed the crisis in quality of design that has occurred with Design and Build procurement, which has caused problems in the life of buildings, and the need to reach a quality outcome. He was in favour of suburban densification in the 20 London Boroughs highlighted, with design codes and design reviews to ensure a high quality of design. The new draft London Plan can be downloaded from the following link (copy and paste into your browser): https://www.london.gov.uk/what-we-do/planning/london-plan/new-london-plan. Consultation on the London Plan is currently open to all. All comments must be received by 5pm on Friday 2 March 2018 and can be made online at www.london.gov.uk/new-london-plan. There will be an Examination in Public in Autumn 2018 and then the final version of the London Plan will be published in 2019.